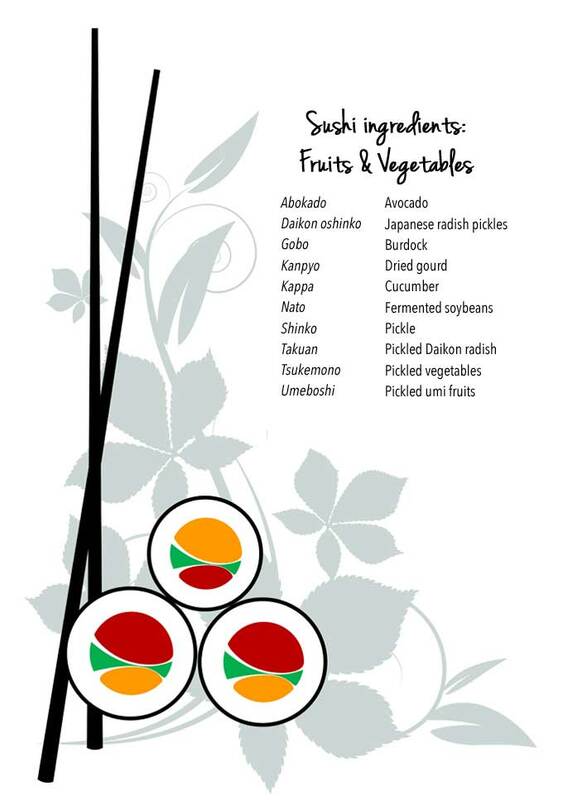 At its most basic, sushi is usually made up of 2 elements: vinegared rice and nori (seaweed). Should be simple enough, right? Sadly, it doesn’t work that way. 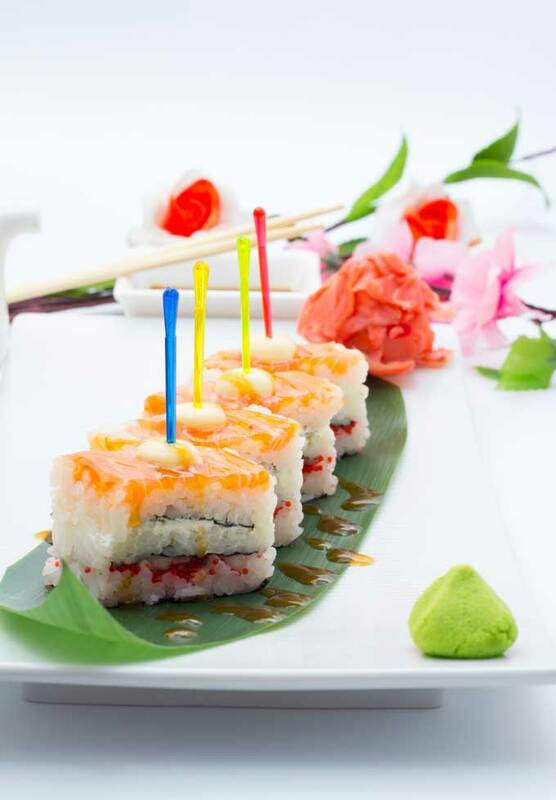 Because what defines one maki roll from another are the toppings and fillings. Those tiny little bit of fish, vegetables and other knickknacks that are rolled into a maki or layered upon the nigiri to add the special punch of flavour. 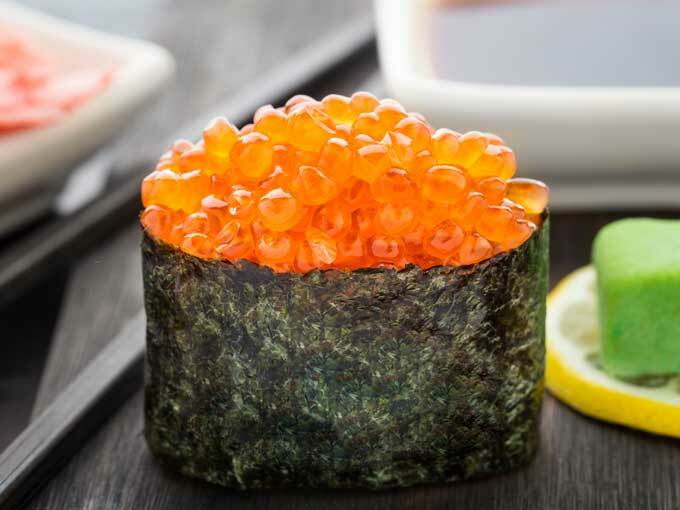 And with an increasing number of restaurants digging deep into the Japanese culture to create their menus, getting a simple salmon or cucumber topped sushi can be an exercise in intimidation. And no, knowing Japanese doesn’t help: kappa, sushi-language for cucumber, comes from the name of a monster who loves cucumbers. So, voila! This easy-to-read (and print or download on your phone!) 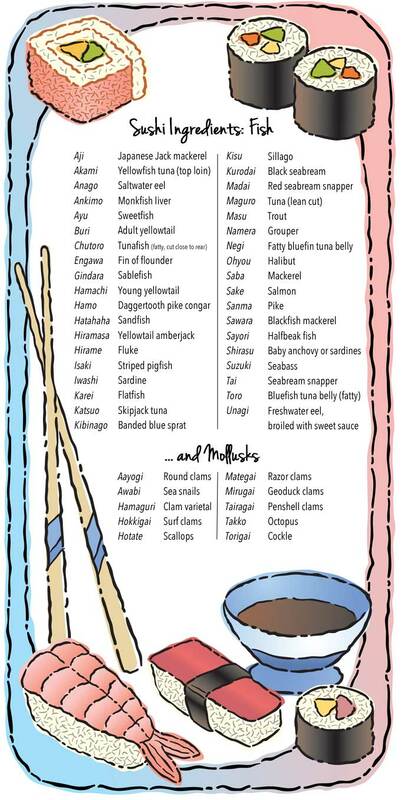 list will help you figure out the akami from the awabi. Think of me when you take that next bite of wasabi-laden goodness. Coming up next: How to eat sushi! Sushi menus are laden with complications. 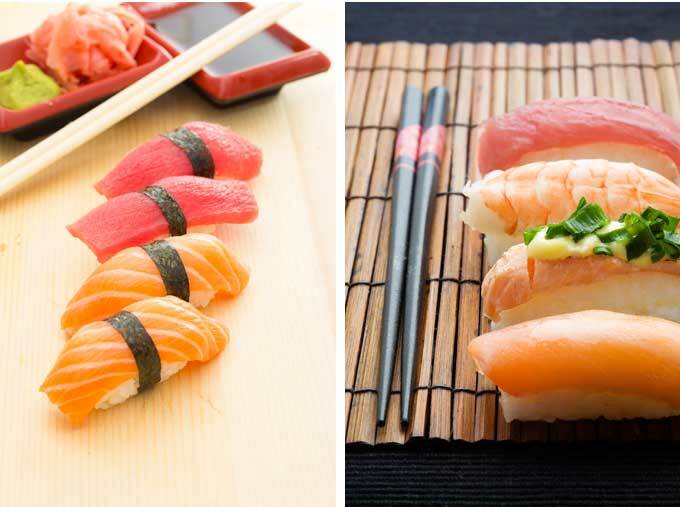 First, you need to pick the kind of sushi you want to eat: would you prefer a Maki or Nigiri? Oshi or Inari? The choices are endless. Then come the fillings. And the condiments. And just what does one do with that sliced ginger (hint: you NEVER put it on the sushi!) And woe betide if you are supposed to customise your own platter. With the server and your fellow diners watching. Time to bring in the experts. Let’s begin with the kinds of sushi. While we usually think of this Japanese dish as a simple of vinegared rice wrapped up in a strip of seaweed, sushi actually takes several forms. Some kinds of sushi don’t even have a smidgen of seaweed. Let’s take a look. 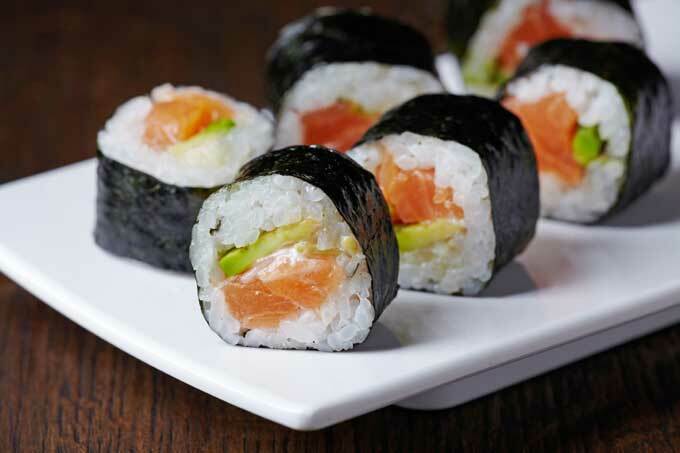 Also known as makizushi, norimaki or ‘sushi roll’, this is the most popular form of sushi. 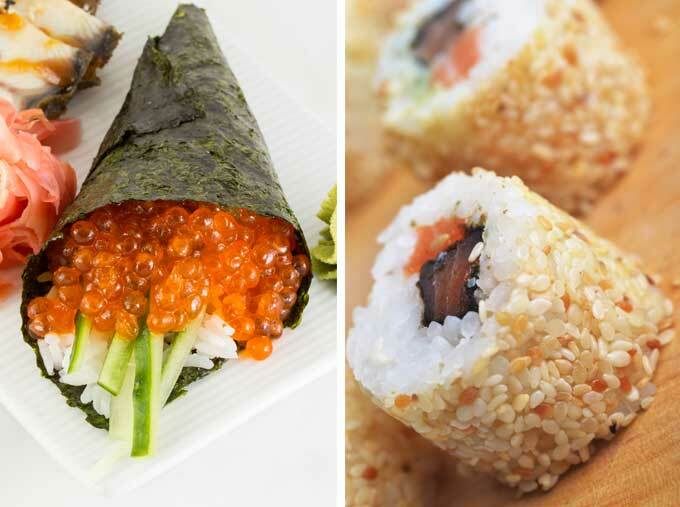 In most cases, Maki has vinegared rice and other ingredients (like octopus, tuna, cucumber or asparagus) tightly rolled in a sheet of nori (seaweed). These are the easiest to eat, sans spillage. In a fusion restaurant, the nori may be replaced by a fried egg, cucumber slices, shsiso (perilla) leaves or soy paper. Uramaki: An inside-out sushi roll, with rice on the outside and nori on the inside; usually comes with two or more fillings in every piece. This one is essentially an American invention, for people who don’t like seeing the seaweed up-front. The rice may be studded with a variety of seeds or other flaky toppings. Temaki: Also known as a ‘hand roll’, this is a cone-shaped roll wrapped in nori, with one end sealed off and the other one open. Warning: this is the messiest kind of maki. 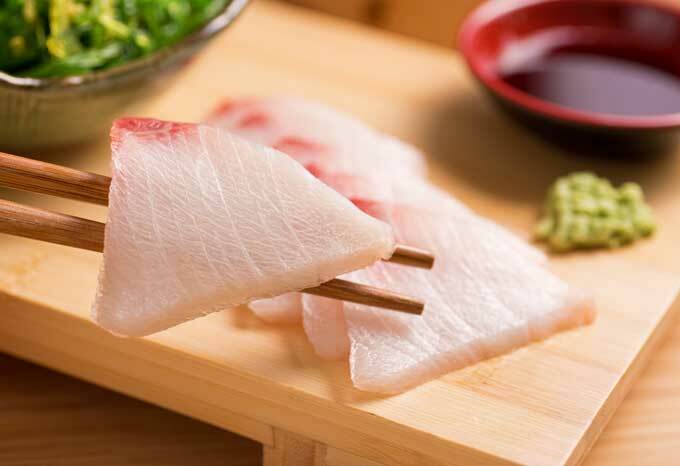 Also known as nigirizushi, which translates as “hand pressed sushi”, this contains a small, oblong mound of vinegar rice topped with a slice of fish (called the neta) or vegetables. 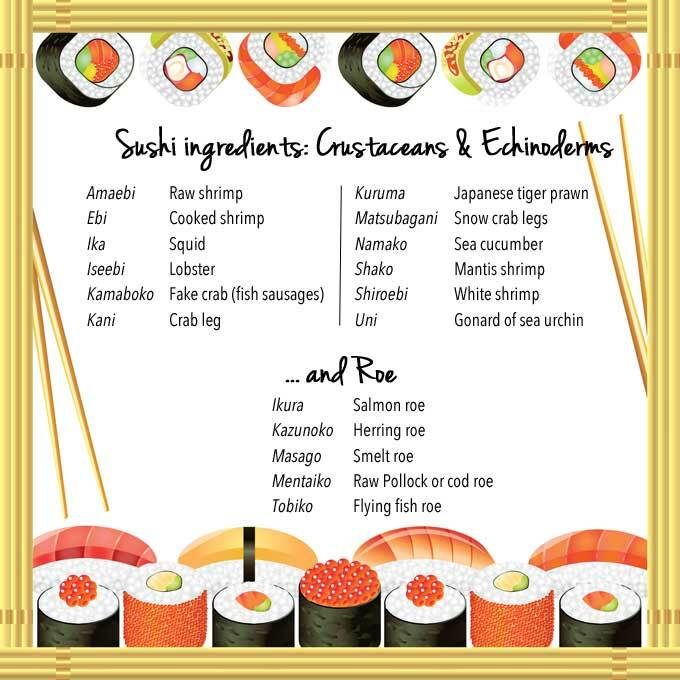 Salmon, tuna, cooked shrimp, mackerel and eel are the most common toppings. Sometimes, when the toppings are super-slippery, a strip of nori is wrapped around the nigiri. This is usually the most expensive form of sushi and also the messiest to get from plate to mouth. Directly translating as “battleship roll”, gunkan-maki has a clump of vinegared rice surrounded by a strip of nori, so that toppings (usually fish roe) can be placed on top without falling off. The end result is said to resemble a battleship but I think it looks more like a cup. Also called oshizushi or hako-sushi, this “pressed sushi” comes from Osaka in south-central Japan. 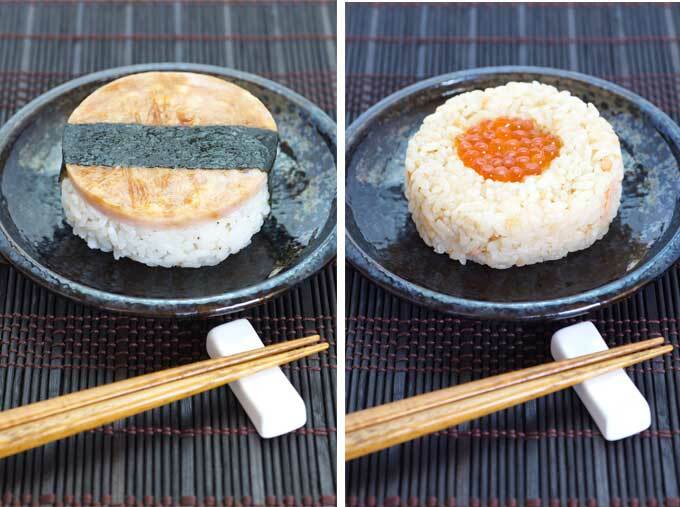 It is made with a sushi press – a wooden, box-shaped mold known as oshibako. The toppings are laid at the bottom of the mold and then covered with sushi rice. Finally, the lid is pressed down to create a firm, rectangular block of sushi that’s cut into pieces before serving. Also called chirashizushi, bara sushi or gomoku sushi – all of which loosely translate as “scattered sushi” – this sushi is served as a bowl of rice topped with seafood, mushroom and vegetables. 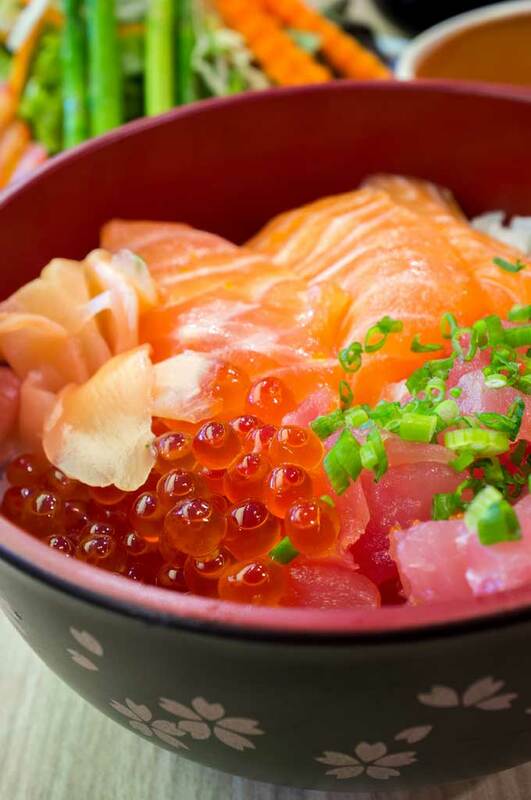 Chirashi is extremely popular in Japanese homes as it forms a perfect vehicle for leftovers and doesn’t require any sushi-pressing skills. 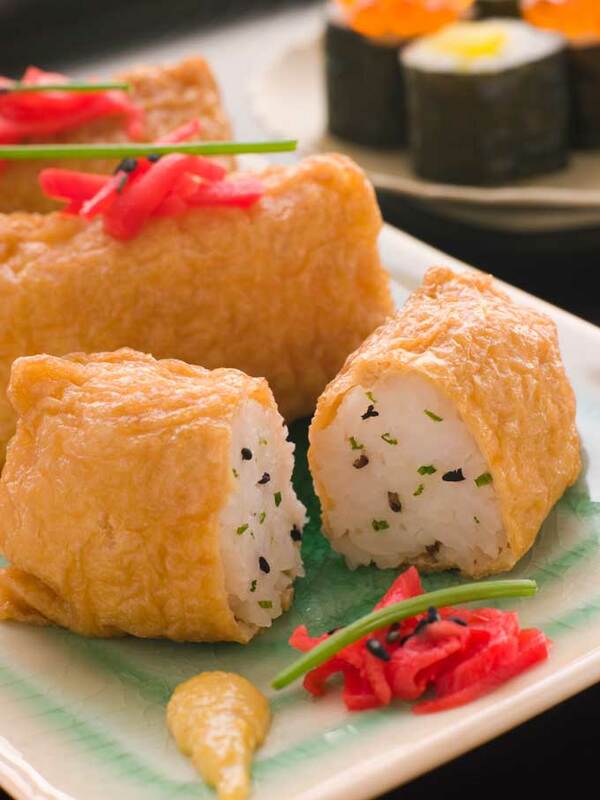 Called inarizushi in Japan, this “stuffed sushi” consists of vinegared rice stuffed into a pouch of deep fried tofu (abura-age). It’s usually sweet-tasting and is one of the most inexpensive forms of sushi. Bonus trivia: Inari is the fox God of Japan’s Shinto religion and because foxes are traditionally believed to like abura-age, he lends his name to this sushi. Also called omusubi or “rice ball” sushi, onigiri is basically 2-3 fillings rolled up into a ball of regular steamed rice. Sometimes the ball is wrapped with nori. Debates rage on whether this is a type of sushi at all, given the absence of vinegared rice. Sushi and sashimi are NOT interchangeable. And sashimi is NOT a form of sushi. In fact, sashimi means “thinly sliced protein” and refers to thinly sliced pieces of raw fish. It does not contain any rice, which is an essential ingredient of sushi.